Say good-bye to rubbery, microwaved hot dogs! 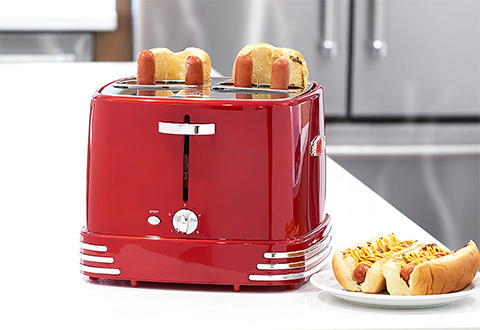 The Retro Hot Dog Toaster makes crisp, delicious hot dogs and toasted buns in minutes — without the hassle of grilling. 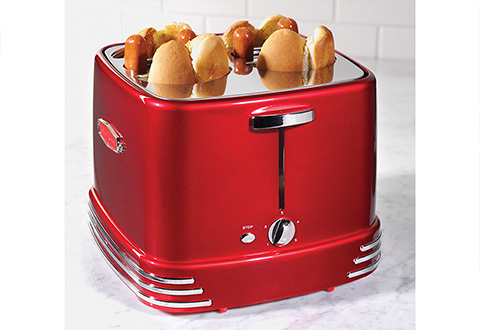 Simply place up to 4 standard-size dogs and buns into the toasting slots and push down on the toasting button. The adjustable timer lets you cook hot dogs and buns to your desired taste. Features a nostalgic, colorful design and a removable drip tray for easy cleaning. 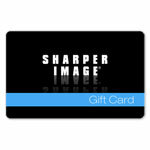 Perfect for apartments, dorms, Man Caves, break rooms, etc. 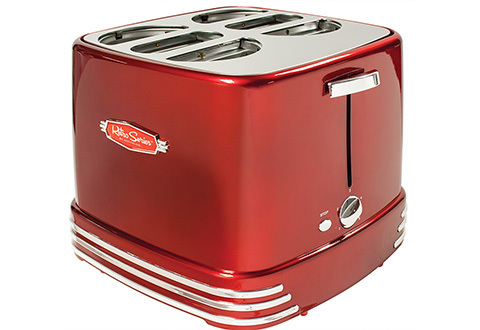 The Retro Hot Dog Toaster is the easy way to make great tasting hot dogs without lighting up a grill. 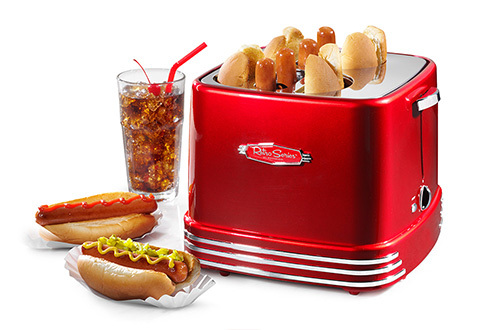 Just add your hot dogs (and buns) and press the lever! 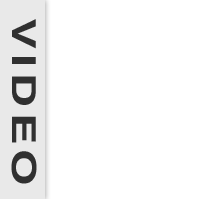 • Ideal for apartments, dorms, Man Caves, break rooms, etc.